Have this dress made your way! 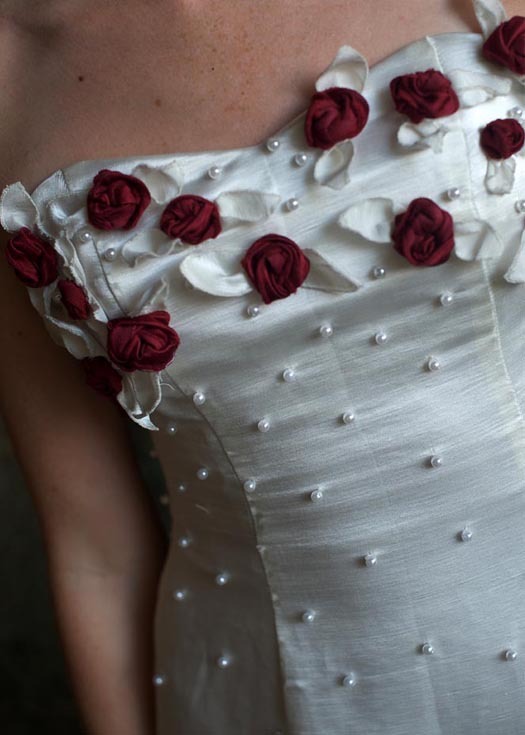 This one is featured with red roses and pearls. 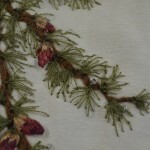 We have also made this lace-up wedding dress with green accents & ivy and with pink accents & embroidered moths. Make it capture your spirit! Be stunning and elegant! Choose Linda from among Tara Lynn’s lace-up wedding dresses. 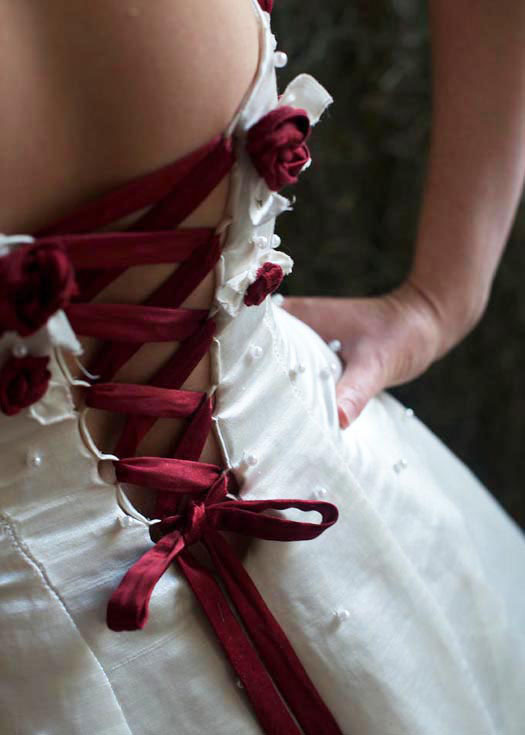 This lace-up, strapless wedding dress is embellished with handmade hemp-silk roses. A romantic contrast ruffle underlay adds volume to the gown’s skirt and a nuanced twist to this classic silhouette. 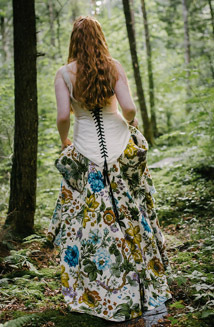 The bodice has a built-in corset and matching contrast ribbon that laces up the back. Made from a shimmering hemp and silk satin. Shown here in red and white. 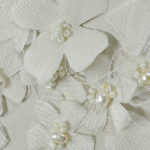 However, this wedding dress can be ordered in the bride’s choice of color. 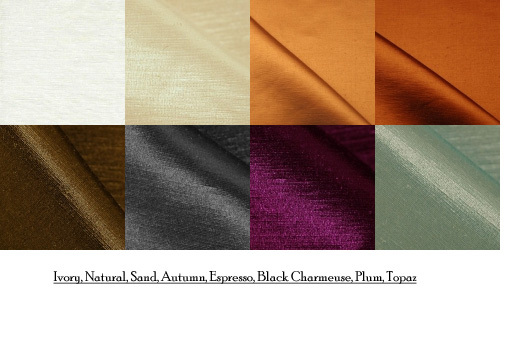 *Contact Tara Lynn for a fabric swatch. NOTE: Color availability varies year to year. Ivory is always available. Red has been discontinued. 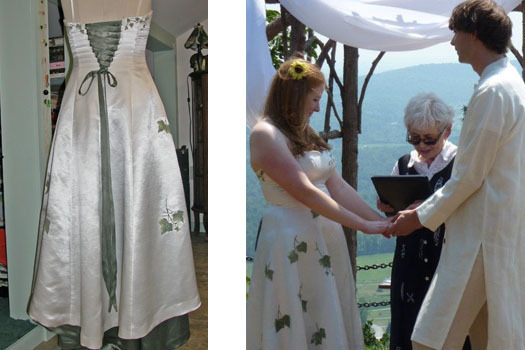 Linda customized with green ivy leaves and and embroidery with an emerald green hemp and silk satin underskirt. 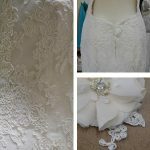 You just found the place for Truly Unique Lace-up Wedding Dresses! Were you feeling out of place in the sea of white, fluffy, taffeta wedding dresses? Are you looking for a natural, alternative wedding dress that captures your spirit? You’re going to feel right at home when you speak directly with eco-couture fashion designer Tara Lynn. 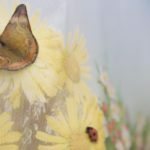 She will help you find or design an eco-friendly, unique wedding dress that feels like you! Call 802-467-9036 for a magical and personal experience. Tara Lynn is a certified tailor and graduate of the Fashion Institute of Technology. She has been making custom hemp and natural fiber clothing since 1999. Abela is a unique beauty among printed wedding dresses. Tatiana is a princess-seamed hemp silk wedding dress that falls in layers to the toe.